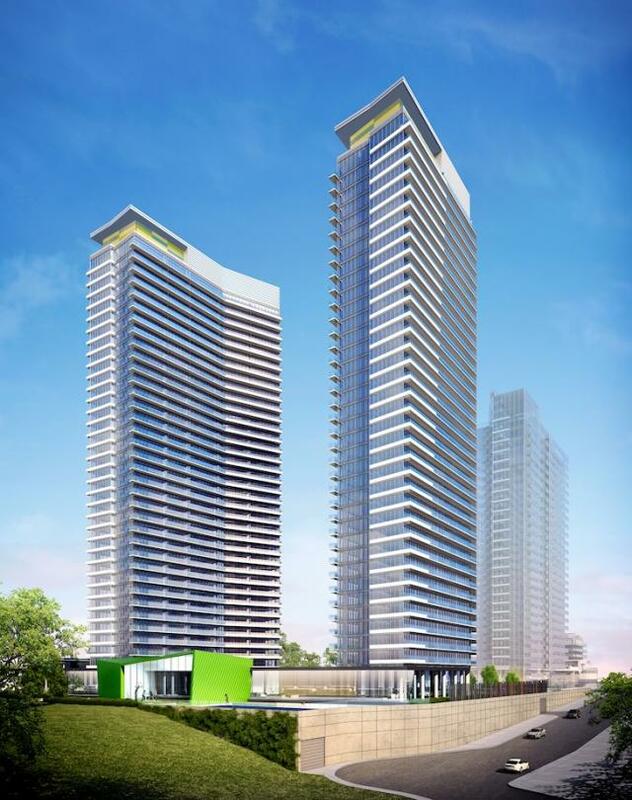 Opus and Omega on the Park condos at Concord Park Place in North York. 36 and 35-storey towers with a shared amenity podium. Design by the IBI Group for Concord Adex.